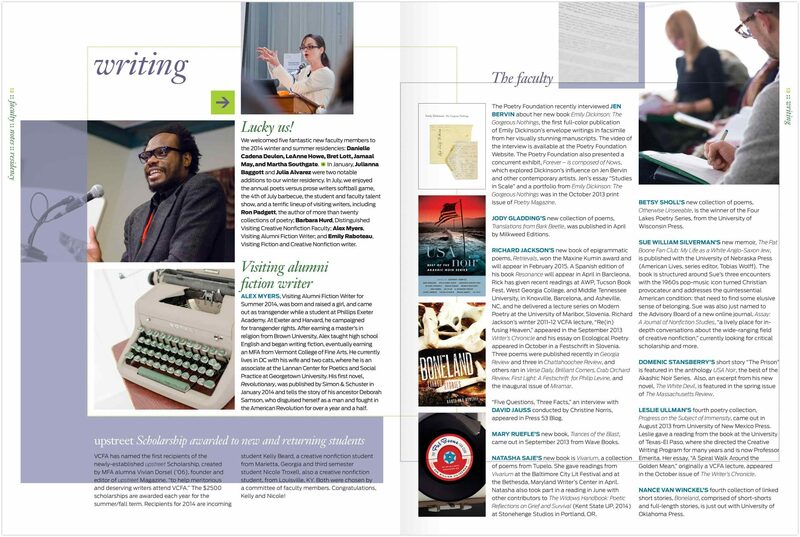 With its novel academic structure—high-intensity, on-campus residencies paired with closely-mentored work in between—the school helps mid-career writers, designers, visual artists, and musicians to re-focus on their goals and work, and helps them move their careers forward. 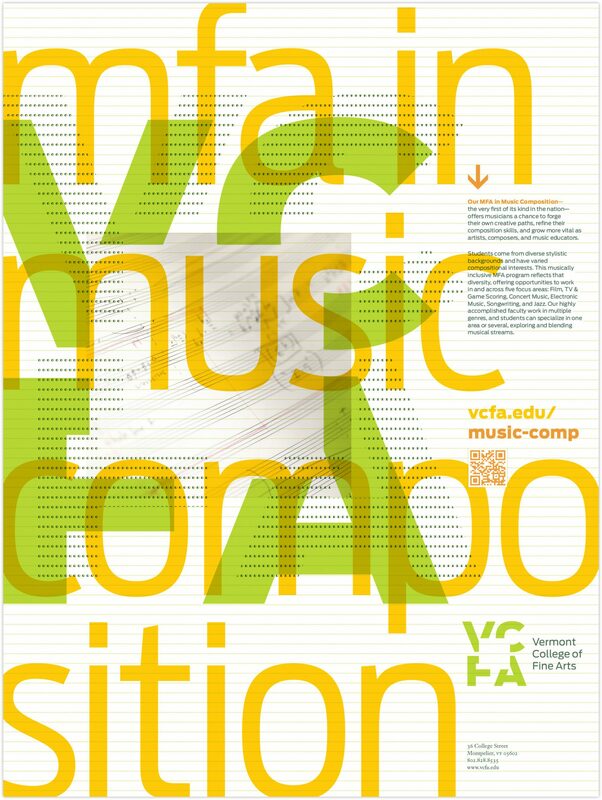 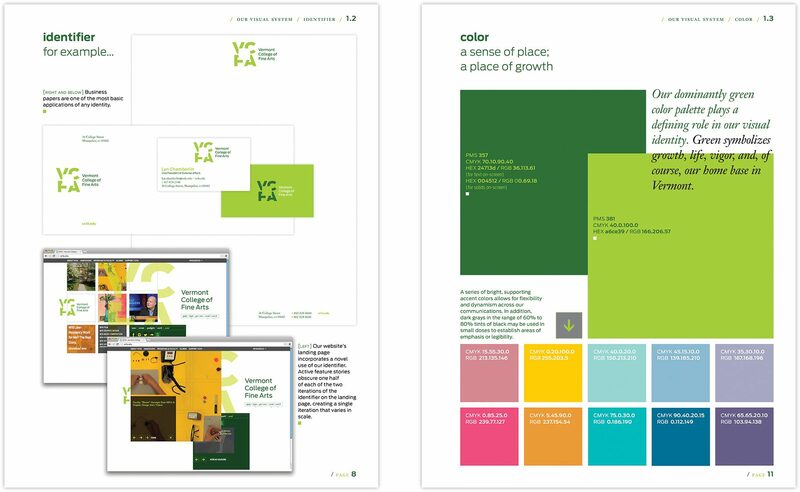 Through our comprehensive branding project, we helped to define storylines and messages, and have developed a distinctive visual language that then informed a wide array of new print / digital / and environmental communications, including an “umbrella” viewbook used in tandem with program-specific collateral. 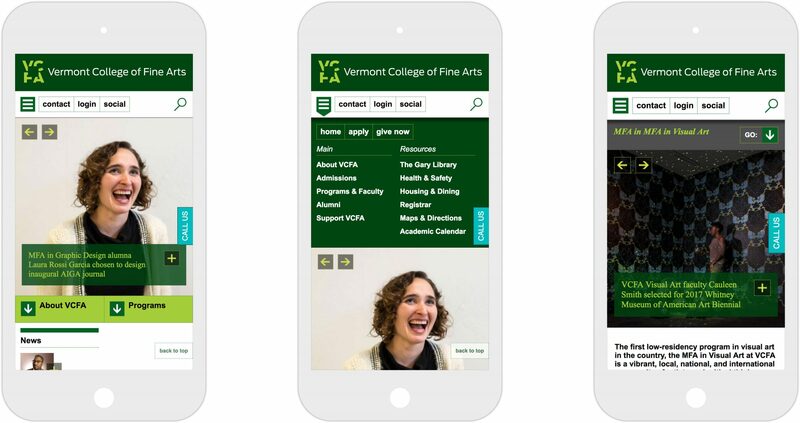 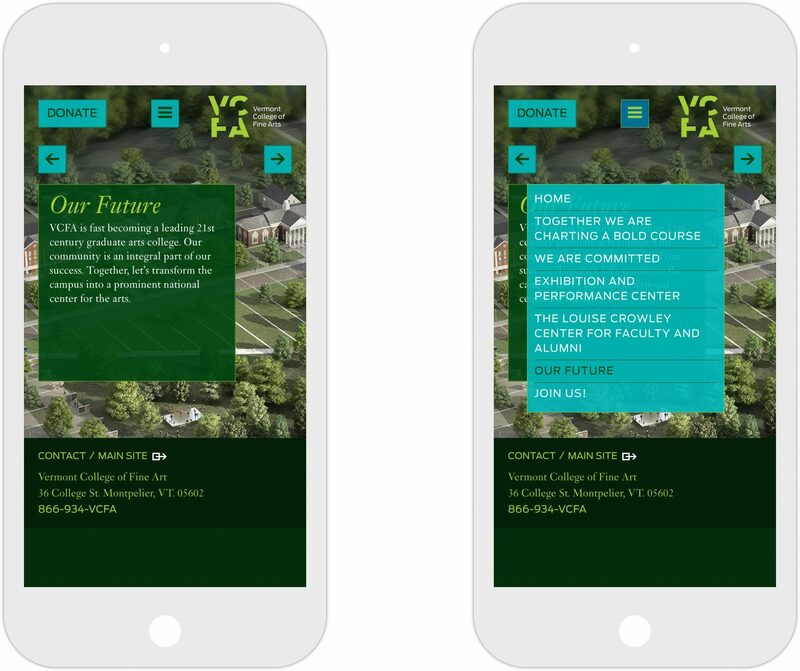 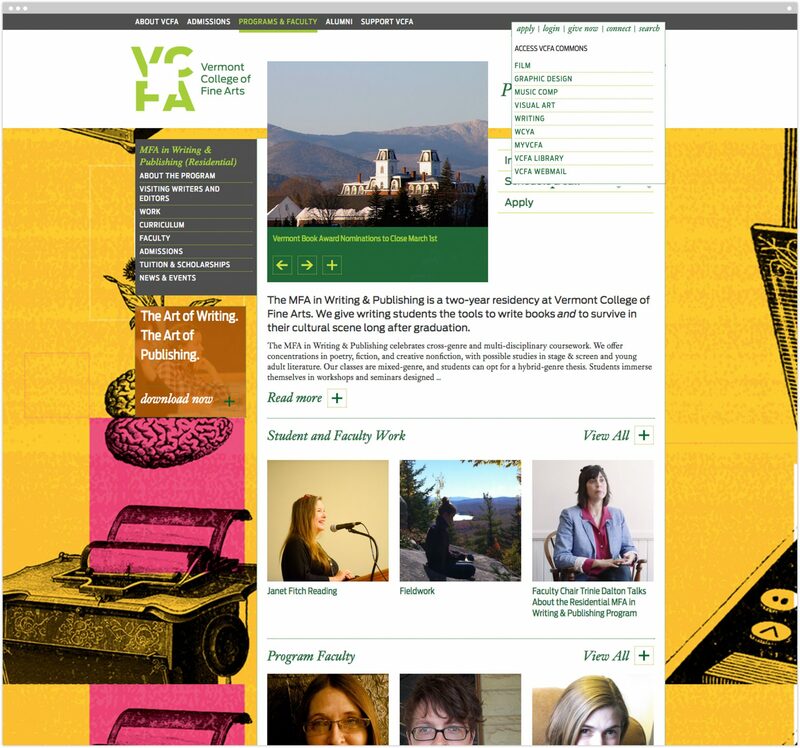 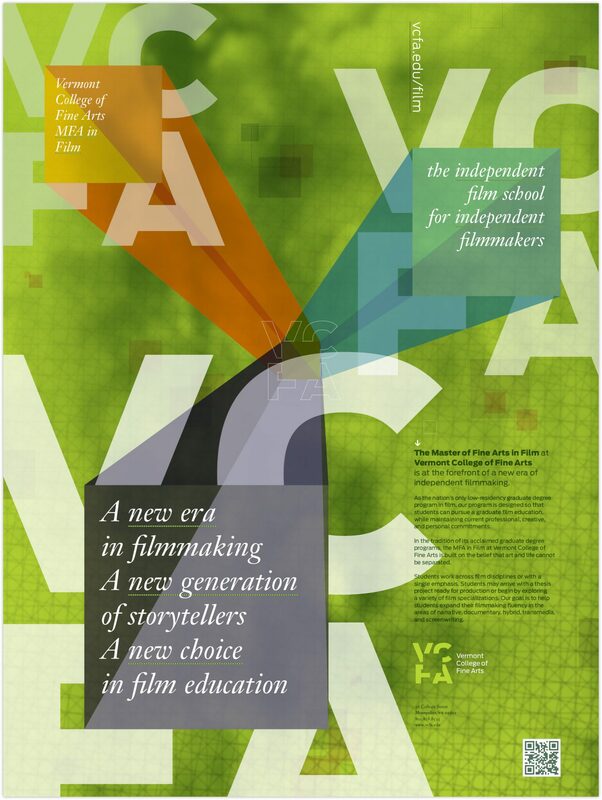 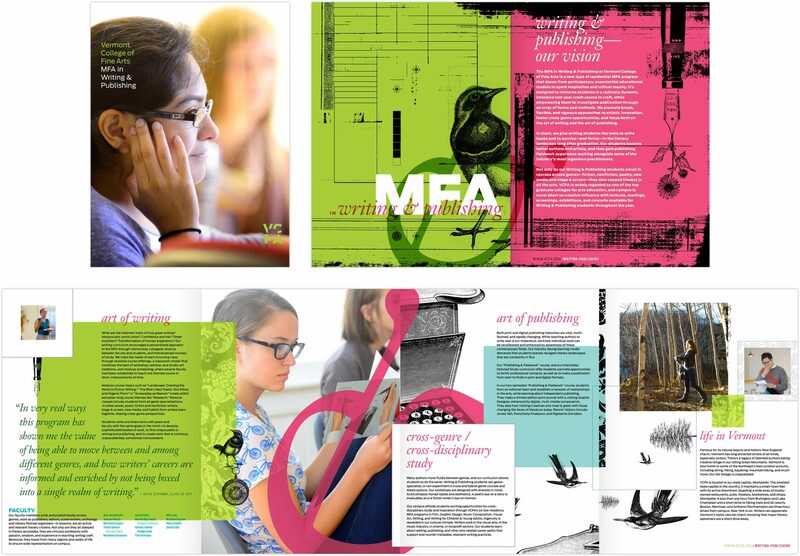 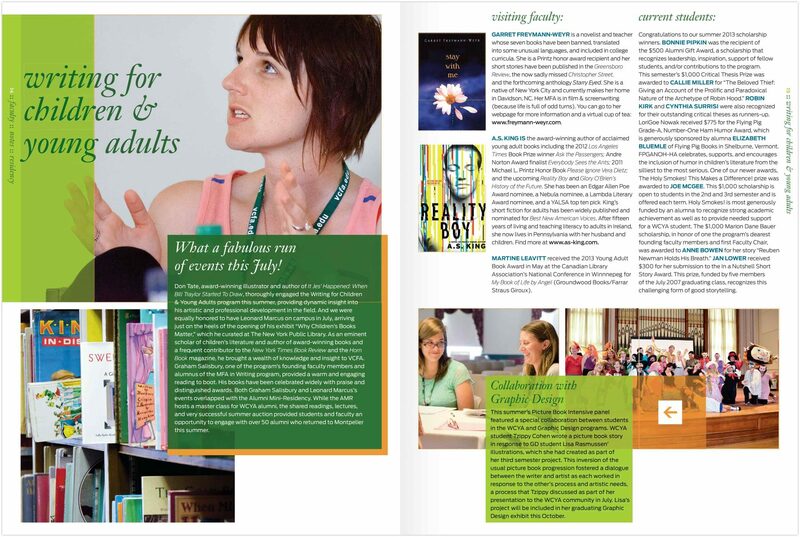 VCFA’s new website provides a meaningful look across the institution. 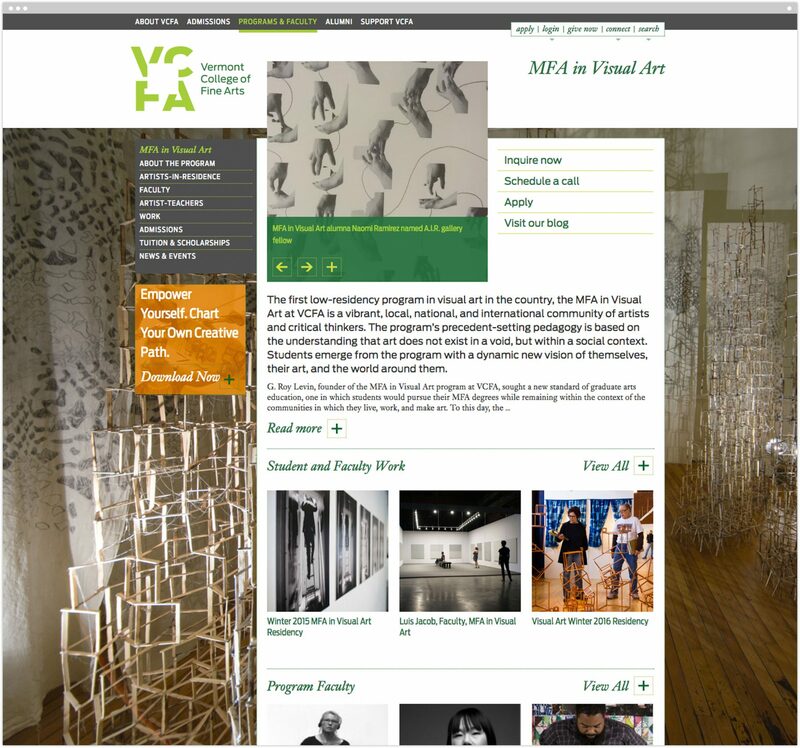 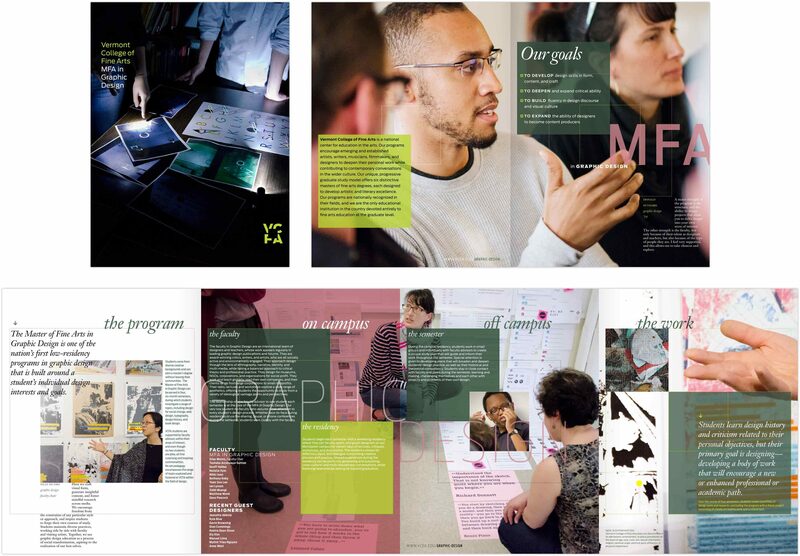 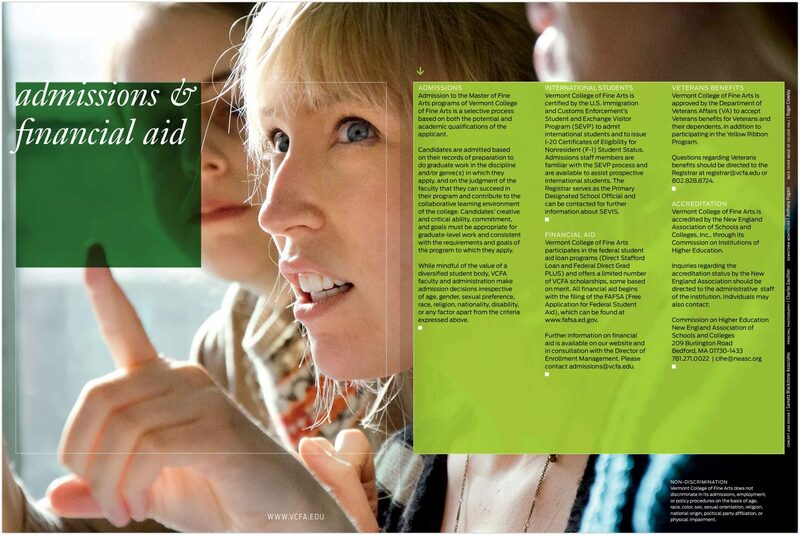 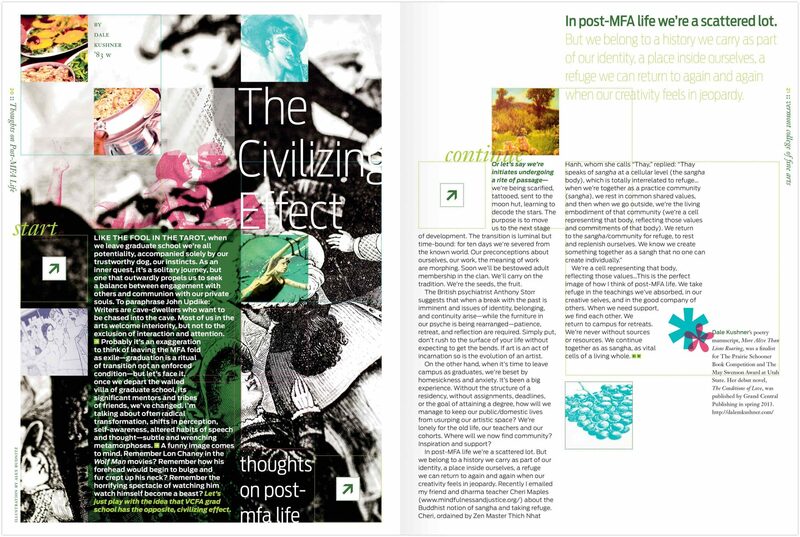 A generous approach to imagery enables previously silo’d programs to retain their unique flavor while coming together to create a meaningful whole—one that supports VCFA’s position as the leading national center for graduate arts education. 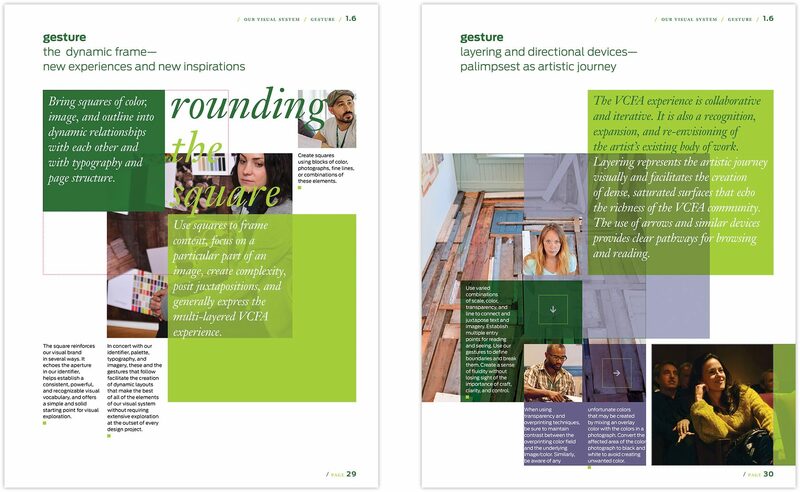 A non-traditional approach to a “homepage carousel” showcases an ever-changing mosaic of activity. 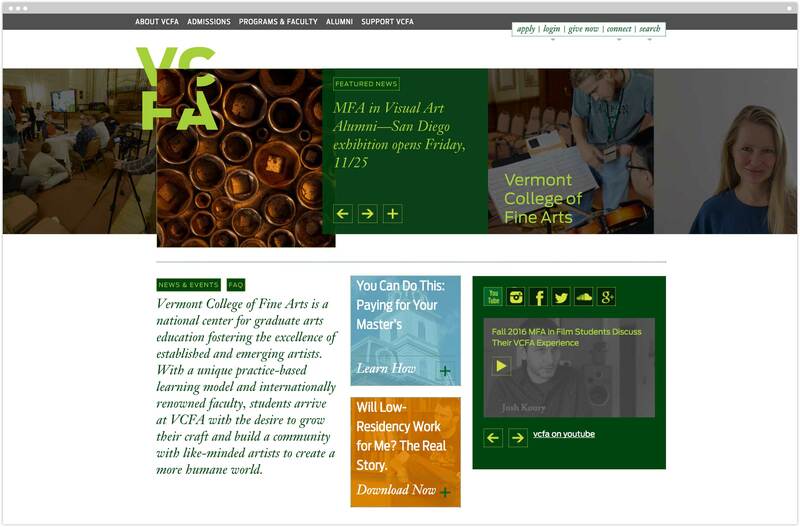 Spotlights, news stories, and a variety of social media feeds keep the site fresh (the social media work earned a CASE Excellence award). 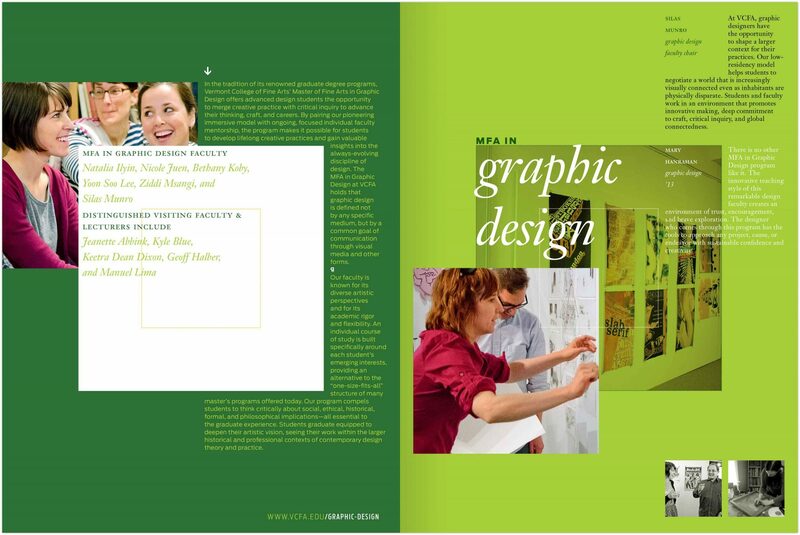 And robust work galleries elevate the efforts of students and faculty in ways not previously possible. 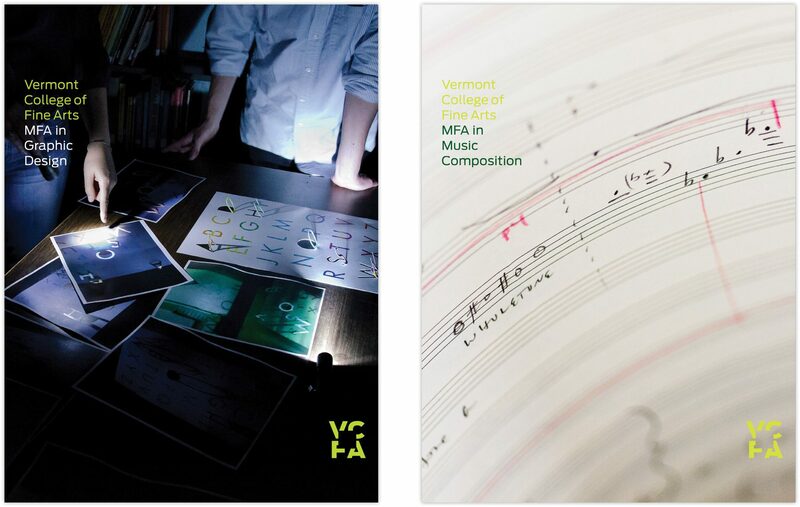 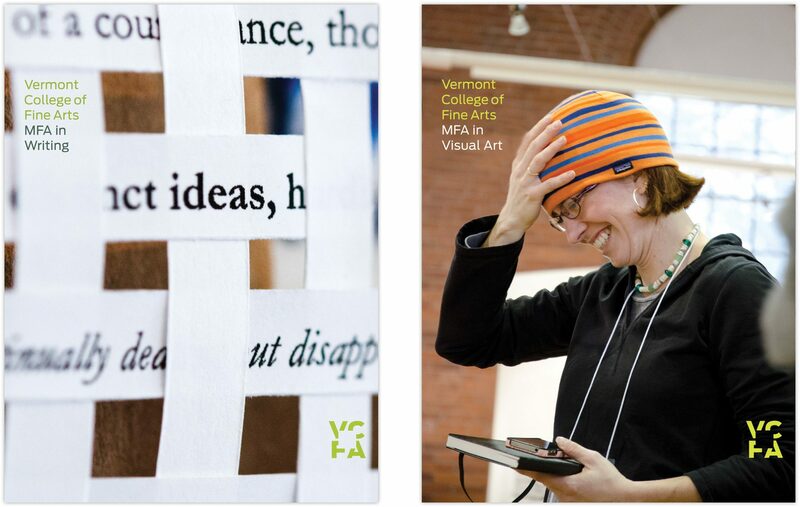 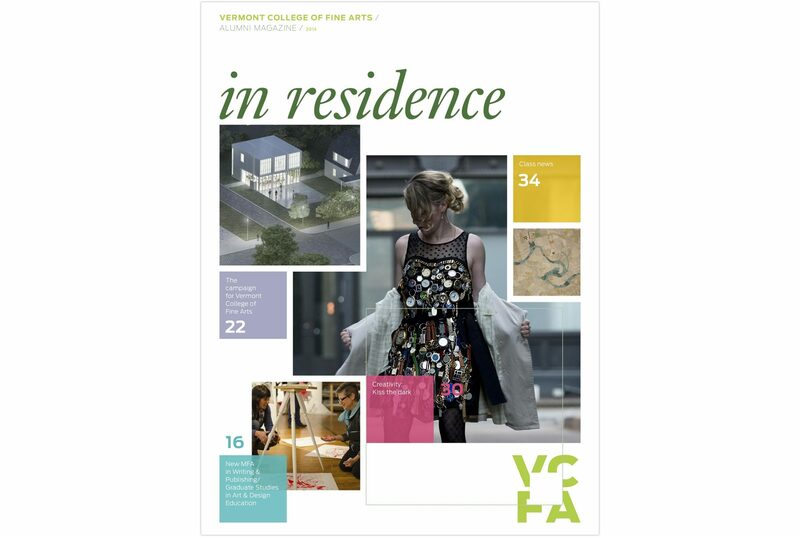 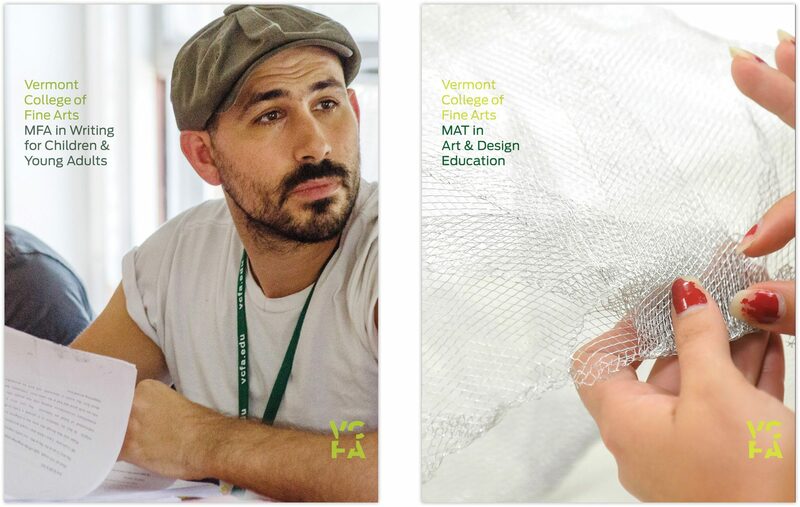 The fastest-growing school in Vermont, VCFA is increasingly gaining in national and international visibility for graduate education in the arts. 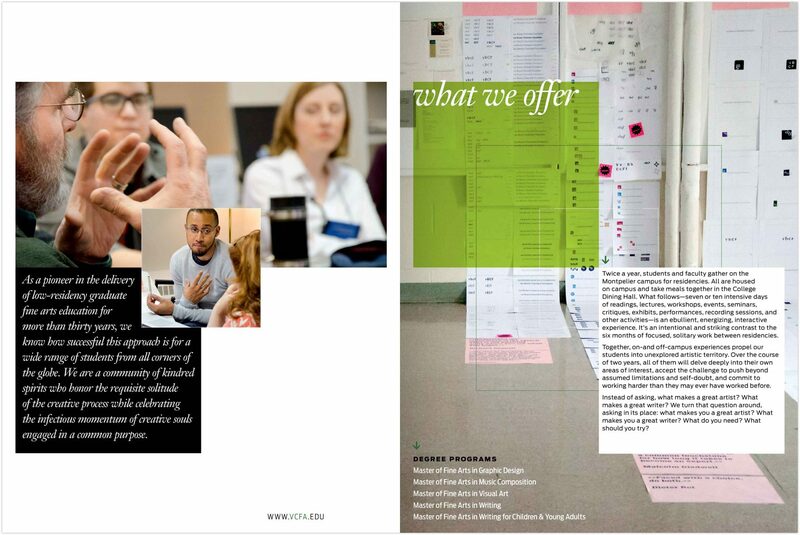 The brand work by Sametz Blackstone is a critical element in that growth. 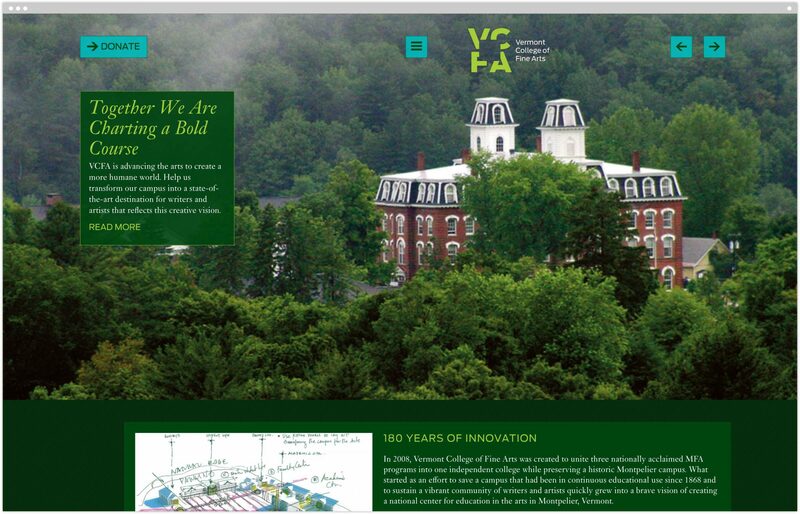 The rebranding included an overhaul of the institution’s identity, recruitment materials, campus signage, and website. 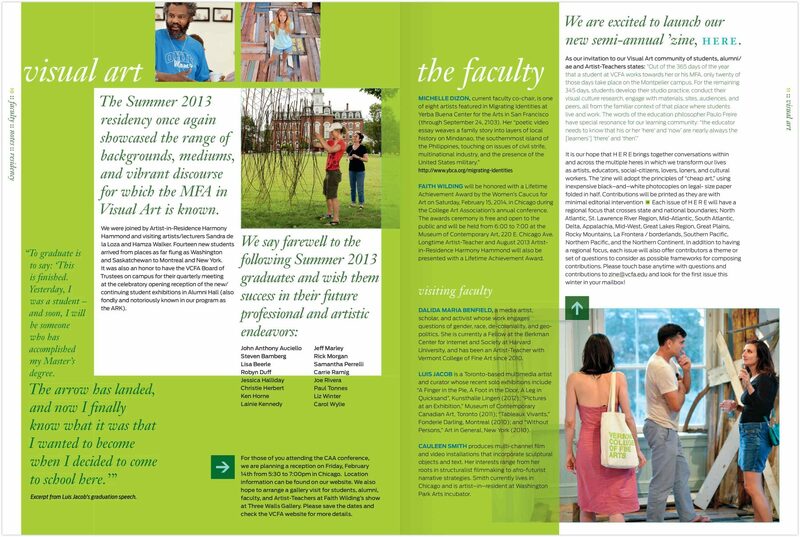 Our site now puts us in conversation with well-established and respected programs at the national level while it dynamically reflects the outstanding quality of our programs. 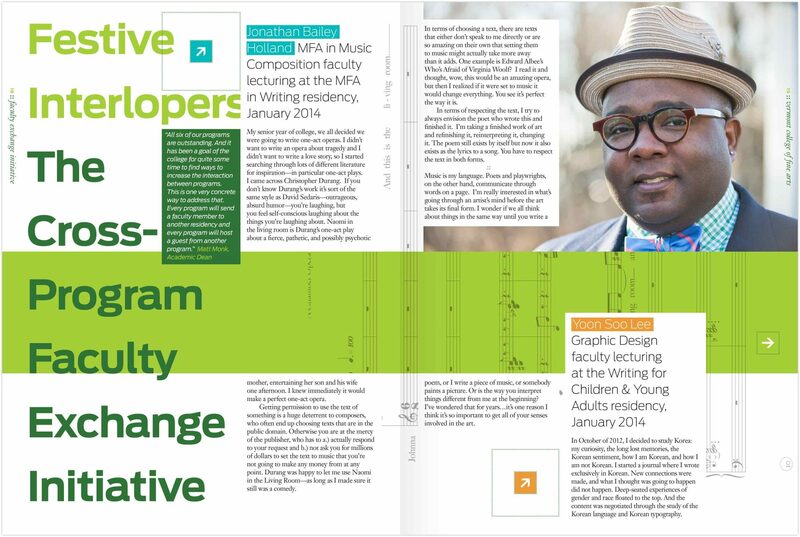 The year-over-year stats continue to be impressive. 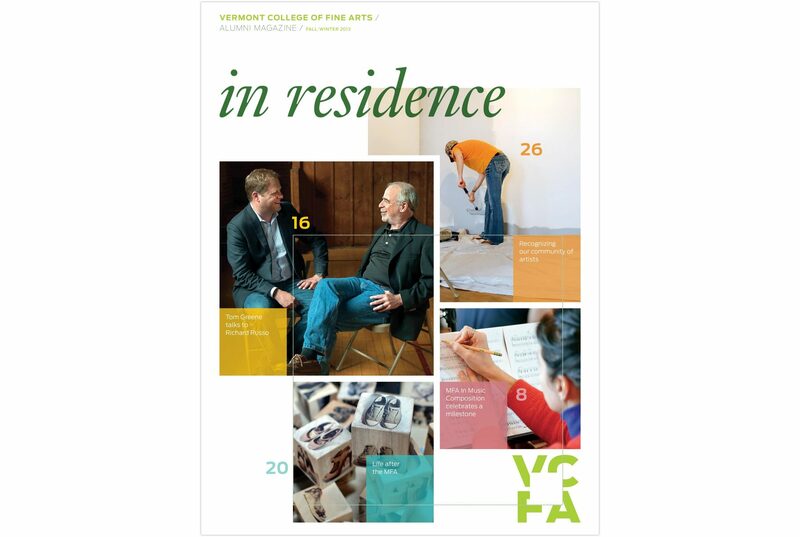 Prospective students now see a place that is art and only art, and students who look like they do, and faculty they aspire to be. 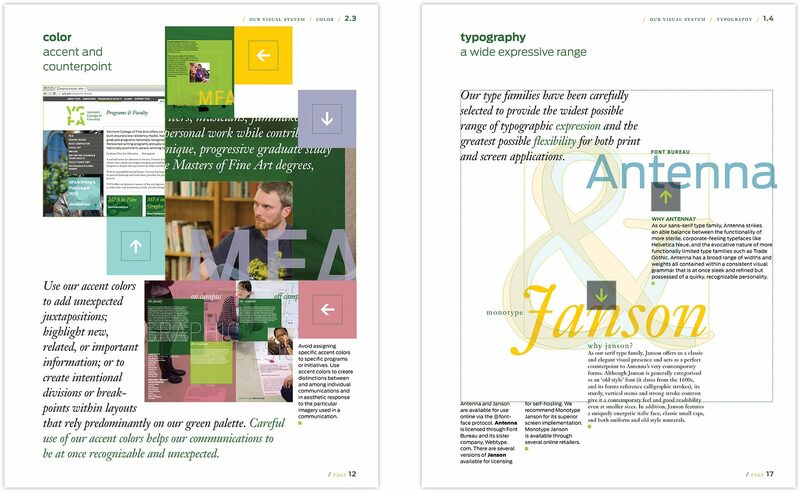 The brand both projects newness and solidity, flexibility and high quality. 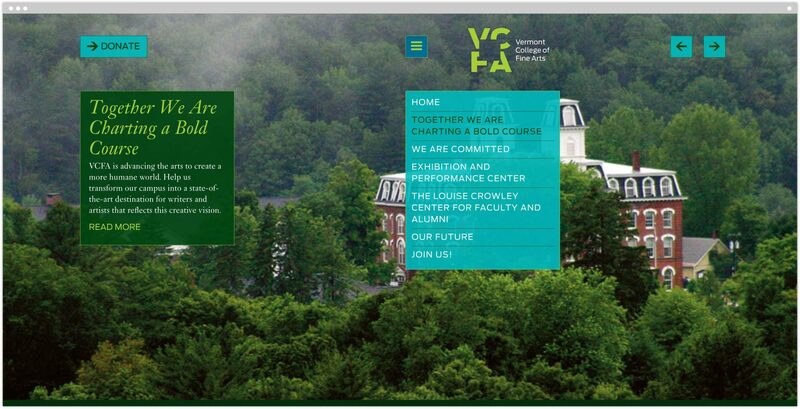 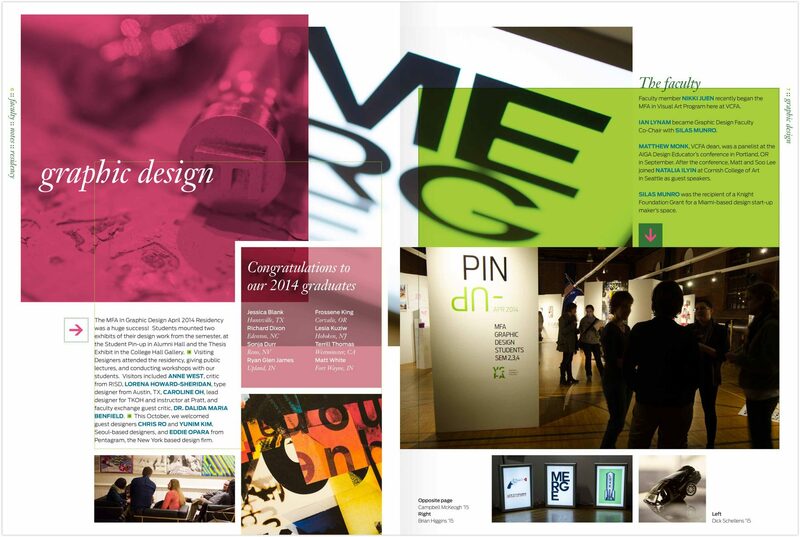 We aspire to be the top graduate arts college in the country. 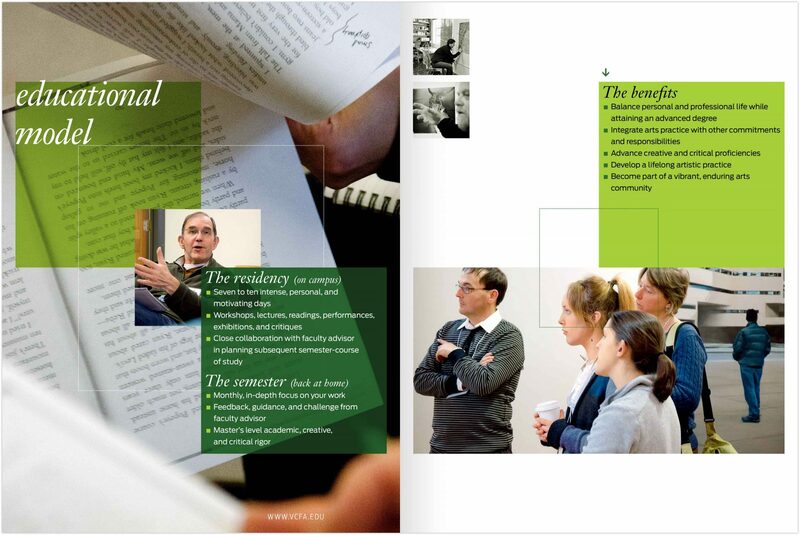 The brand foundation is there. 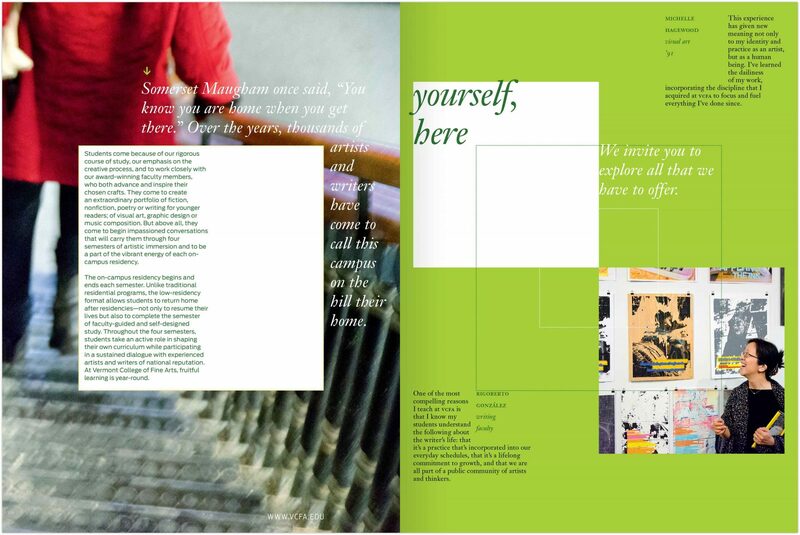 The brand both projects newness and solidity, flexibility and high quality. 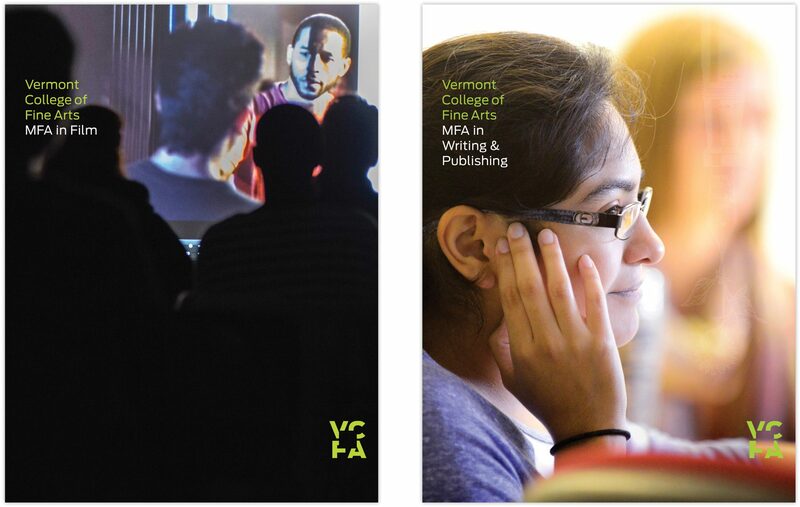 We aspire to be the top graduate arts college in the country. 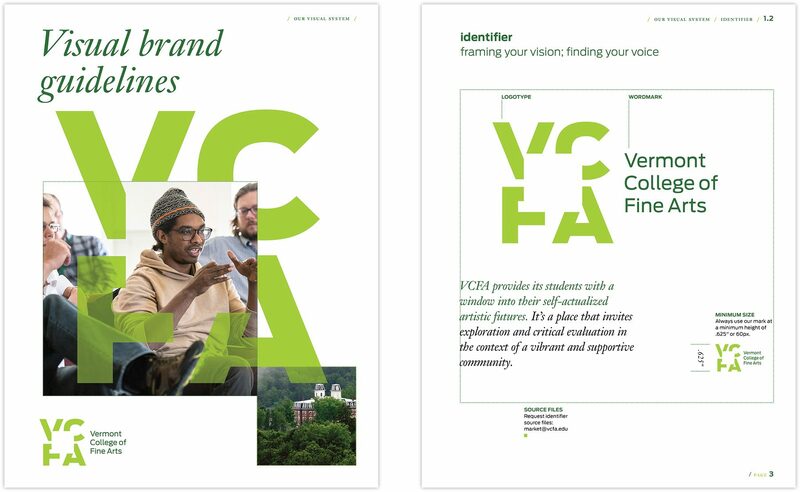 The brand foundation is there.